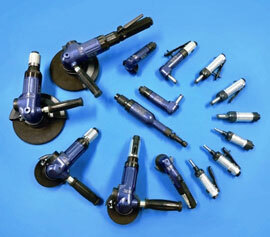 Air Tools, Fluid Couplings, Grinder | Yoshida Mfg. Co.,Ltd. We introduce you our new lines of grinders. Our company started manufacturing the air tool as a new business in July, 2010 based on the technology that cultivated by longtime part processing. Based on the marketing research, we have aimed at the Colette type Baby grinder with the highest needs in the market. It succeeded to the one that light powerful model YG-23 series while keeping..Wick blur.. Minimum by connecting main shaft with rotor directory. The angle grinders have been arranged to the type 7 inches from 2 inches. 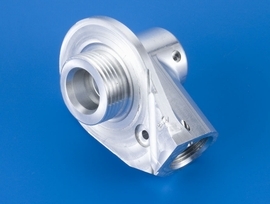 We will answer customer's wide range of demand by expanding the product range starting manufacturing the long axis type and the angle type. 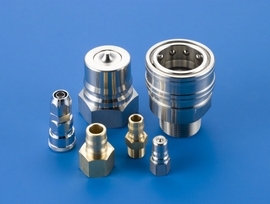 Our company became the manufacture of the Quick connect Coupling based on the technology that is cultivated in precision parts manufacturing for long time. 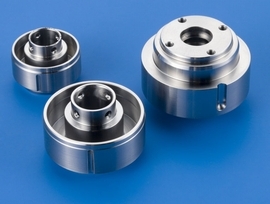 Recently,needs of the fluid coupling are diversified in various fields.We are hoping to correspond these demands adequately and promptly.Your Request of the annual lot production and OEM supply are welcomed.By any means,we will do our best devoting ourselves to become your partner. 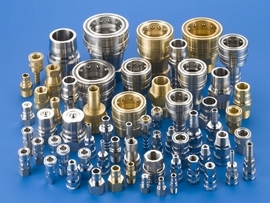 We are manufacturing parts according to the demand of the customers in a wide field such as the air-conditioning/refrigerator equipment,the air tool,the food beverage,the chemical plant,the automobile and medical equipement.The various metals such as iron,stainless steel,aluminum,and brass are used.Based on cooperation with supliers in each destinct,the all prossing until completing centerin on the lathe like the milling,and the brooch,the thread form rolling,the hardening,grinding,and the surface treatment,etc,can be ordered to us. FollowingISO9001 quality management system,the inspection in in-house also delivers the high quality products by our thorough system-making and approach. 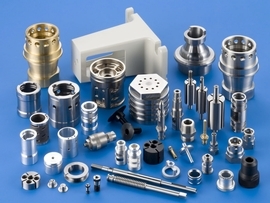 We respond to our clients needs accurately with a wide range of precision worked parts including pneumatic and hydrulic parts and more recently, medical device, aircraft and air conditioning parts. Mar. 2009: Established the English website. Mar. 2009: Renewed the website. Jun. 2007: Established the website. Copyright(C)　YOSHIDA　MFG　All rights reserved.